Jewels often make great gifts, but what is the actual meaning behind them? In this post, we will be talking about the meaning of pearl as a gift, so that you know what kinds of pearls to present to different people for a particular occasion. You might find out a lot of new things today! For thousands of years, pearls have always been considered the symbols of wealth and wisdom. In ancient times, only the richest and most important people were allowed to wear pearls. These days, natural (true) pearls are still a highly sought-after commodity, especially taking into account that the pearl-producing molluscs are slowly disappearing. So what exactly do these unique jewels mean when you give them to someone as a gift? Let’s find out, as we talk about the pearl meaning. We will tell you what they mean based on their colour, as well as touch upon their meaning for women of different ages. Let’s go! When people think of pearls, they usually imagine lovely round white jewels. Even the white teeth are often compared to pearls. But do you know that they actually come in a wide variety of colours? So let’s consider some common and not-so-common colours for pearls and their meanings. White pearl. Even though this is the most popular and common type, it does not make it any less fascinating in terms of meaning. White pearls are a symbol of new beginnings, sincerity, beauty and innocence, which is why they are perfect for bridal jewellery. However, you can gift them to anyone to show your sincere feelings. Black pearl. This mystifying jewel is a representation of riches, strength, independence and mystery. 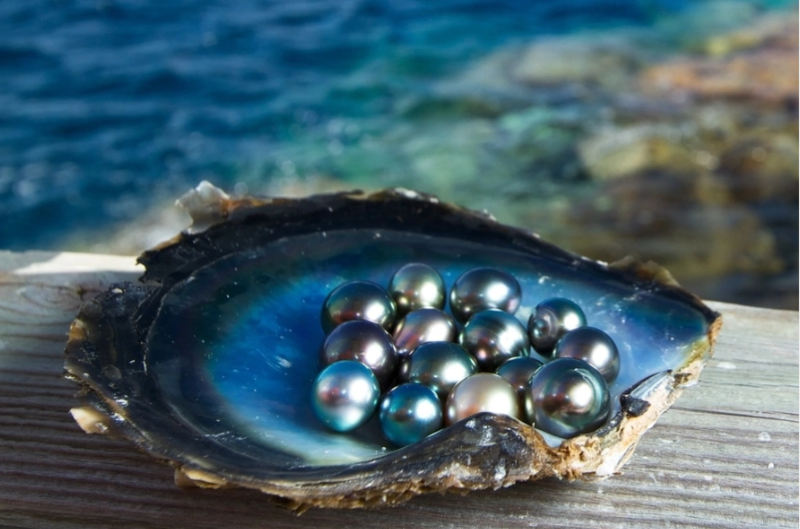 According to some ancient legends, black pearls are also a sign of everlasting love and intense emotions. Therefore, if you want to gift them to someone, make sure you mean it. Pink pearl. This lovely variation is meant to symbolise good fortune, romance, fame, success and energy. The jewellery made out of pink pearls can be a great graduation gift, as it can serve as both a good-luck charm and a promise of a bright future ahead. Purple pearl. This unique kind of pearl is a symbol of passion, nobility, complexity and wisdom. Accessories with purple pearls make perfect gifts for people in the education sphere, or just incredibly wise and noble individuals. Blue pearl. This type is extremely rare, so you definitely should not be giving them to just anyone. Blue pearls symbolise courage, trust, tranquillity and truth. You might consider giving them to someone very special in your life, or for someone who needs a little more peace. Green pearl. Green pearls are a representation of renewal, growth, hope, nature and balance. If you want to congratulate someone on starting a new chapter in their life or to inspire them to continue working on their personal growth, consider gifting them accessories with these wonderful jewels. Yellow pearl. Yellow-coloured pearls signify happiness, clarity, optimism and creativity. Gift them to someone interested and/or involved in arts and to just generally positive people to complement their cheery personality. Gold pearl. As the colour might suggest, this type of pearl is the symbol of prosperity and wealth. You can gift yellow pearls to people who are already prospering, as well as to those who only aspire to. Either way, these elegant and beautiful jewels will look good on anyone. Chocolate pearl. Last, but not least, these luxurious-looking pearls represent protection, comfort, healing, dependability and harmony. You should gift chocolate pearls to people who have helped you get through life and who have seen you through thick and thin. Now that we have talked about what different pearls mean on their own, we should also consider what they will mean to the person you are gifting them to. As most accessories with pearls are usually worn by women, we will take a look at what pearls mean to them at different stages of their lives. For instance, for young girls, pearls often do not mean anything particularly special. Pre-teen girls might consider them just as a cute accessory that can make them feel and look prettier. Therefore, if you want to get pearls for your daughter, niece or any other little girl in your life, do not think about the meaning too hard. Just get whatever looks cuter, and she will love you for it. When years pass, she will be able to look at the pearls and remember you and the bond you have shared. 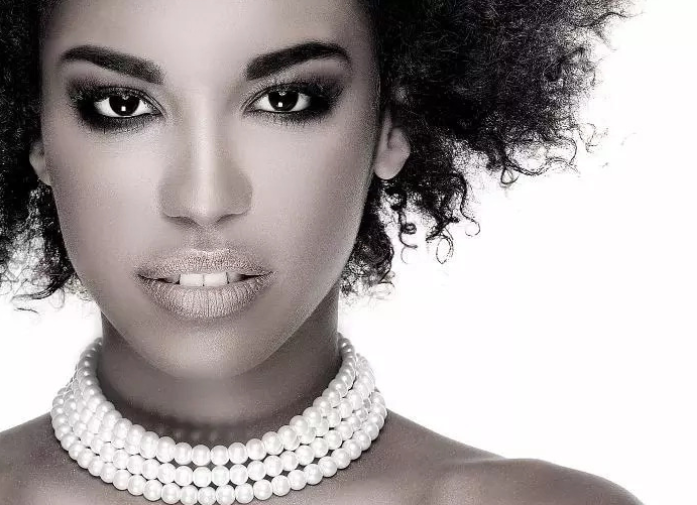 For young ladies, pearls are usually more significant. Be it a gift from loving parents or a loving boyfriend, you can be sure that she will cherish this gift. Pearls for young women are a symbol of growing up, and they can serve as a great representation of some important milestones in life, such as, for instance, graduation. For this reason, you should base your choice of pearls on the occasion, so that she can have a memory of a meaningful moment in her life. Pearls can mean all sorts of things, and they often mean something different to different people. Therefore, when choosing pearl accessories for an important person in your life, consider what we have told you and do not forget about the tastes and personality of the person in question. After all, it is still a gift, and gifts should be personalised in some way.